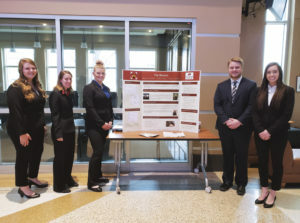 For the class Leadership and Organizations, nine teams of students had to find a nonprofit to work with who had a tangible need worth $1,000, that they could help provide and find. Tim Peterson, the professor of the course, has been doing these presentations/projects with students since 2009, so they can further their leadership beyond the books. This semester the teams paired up with organizations such as: River Keepers, 39 Country Initiative, Ronald McDonald House, Bison Strides, Unseen Ministries, Toys for Tots, Dress for Success, You Code Girls and Anne Carlson Center. Once the semester begins, Peterson starts the project and continues to teach them along the way while maintaining distance to allow them to be their own leaders. After teaching a topic he will go around as a consultant to each group to overall clarify whether they understand the concept through the work they are doing within their project. They read the book Leadership Challenge, by Jones Loflin, and during the presentations Peterson asked the teams to relate one of those practices from the book that showed up in their project. Each student/team was about to connect the theory to their project. Peterson explained how if he had given a written test they may have passed, but would they have truly understood how it applies to a real-world situation? Peterson teaches them why a team works effectively instead of working they analyze what makes a team effective. Many students start the semester scared of the large amount of money they have to accommodate, but many reach the end of the project and exceed the amount way beyond the minimal of $1,000. 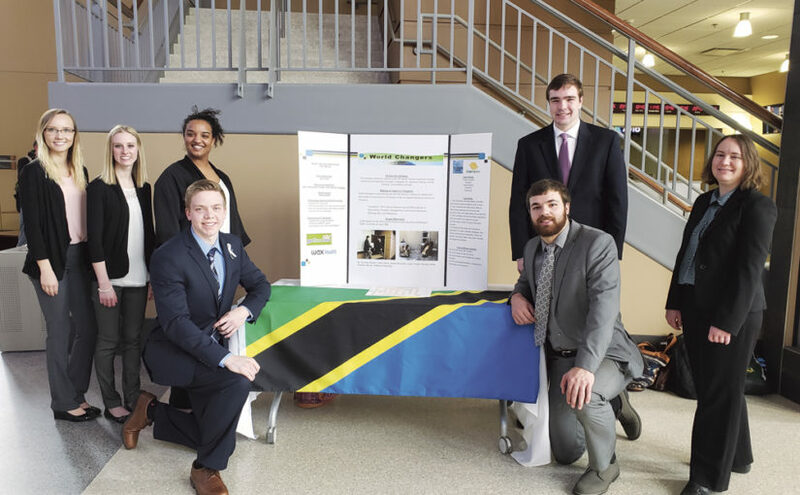 One of the teams partnered with “39 Country Initiative,” which works with the 39 poorest countries in the world to raise money to get textbooks sent to these areas. This partnership started around five years ago causing them to be so impressed then that they asked a group to continue it this year. Peterson gave this project to students who have had them before, since he knew them better and they knew him better, so he felt that they were better prepared for a larger project. To find a nonprofit, students go to nonprofit fair, so they can find an agency that is wanting to interact and work with students. 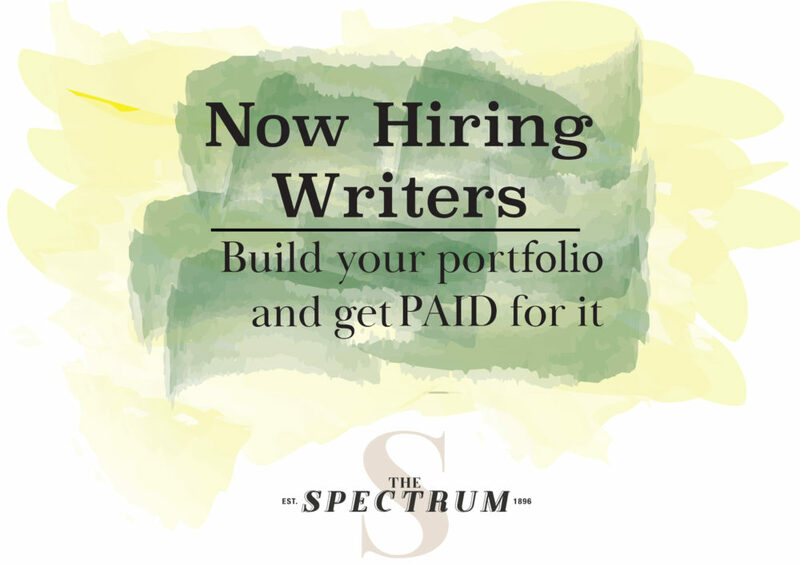 Then they get a written agreement with the agency to make sure both will be satisfied and understand what the goal is. This is then submitted to the professor so he has a record of the partnership and can see what track they are taking with their project. Team that partnered with Dress for Success wanted to feel the passion the non-profit feels every day. When the team who paired with Dress for Success found their nonprofit, it hit them with immense passion. “Just speaking with the different organizations there (nonprofit fair), Dress for Success just stood out to us as an organization that had a lot of passion for what they did,” Makayla Peterson explained. Overall, they wanted to share that passion with them. These presentations were used to allow students to show off the work they completed, some exceeded the $1,000 by making around $4,000 instead. They not only helped nonprofits and those who use those services, but they learned why a team works through Peterson’s teachings. These are skills that many students have used as conversation starters in interviews and resume builders. “The skills that they (students) build I don’t think we can build without having a practice field” essentially practice makes perfect,” Peterson explained.